Some Facebook icons have gotten a fresh, new face. The social network recently gave its main “f” logo icon a flatter design by removing the light blue bar on the base that had given the icon a subtle 3D effect and by shifting the “f” downward to fall flush with the bottom. The result is cleaner, more streamlined and makes the “f” even more prominent. The new “f” is just the beginning of a larger icon update at Facebook, yet all feature this modern flat design and more attention-grabbing look. 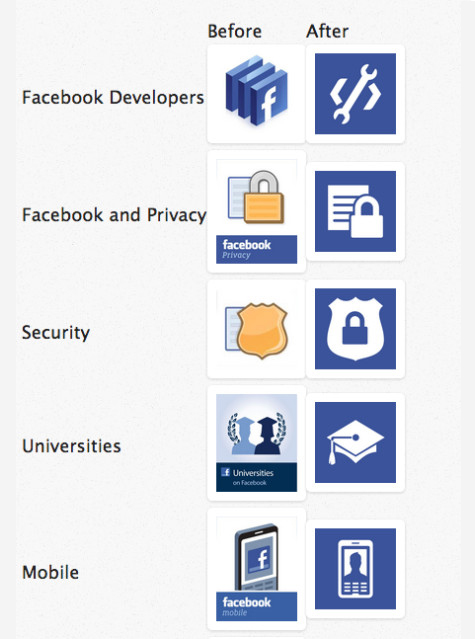 Other refreshed icons included Facebook’s mobile icon, developer icon, privacy icon, security icon and others. Techcrunch.com featured details about the dramatic design change. The social network is one of the many tech companies, apps and Web sites to incorporate flat design into its interface in recent years. One tech brand opting to resist the flatter trend has been Apple, which has maintained a unique graphic style that tries to replicate the look of realistic objects through texture and shading. Of course, there’s more to flat design than meets the eye with ongoing controversy about its value from a usability perspective. Advocates favor the bolder and clearer appearance of flat design elements, while opponents say that flat design can cause confusion about which sections of the Web site are meant to be clicked on. 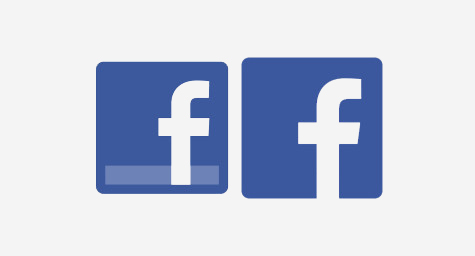 Despite the debate, the new “f” logo is already appearing on Facebook’s own Facebook page and an inverted version with a blue “f” on a white square is up on Facebook’s search bar. At MDG, we develop brands that effectively communicate what your company stands for. Contact MDG Advertising today at 561-338-7797 or visit mdgadvertising.com. MDG Advertising, a full-service Florida advertising agency, with offices in Boca Raton and New York, NY, specializes in developing targeted Internet marketing solutions, exceptional creative executions and solid branding and media buying strategies that give clients a competitive advantage. Our core capabilities include branding, logo design, creative, digital marketing, print advertising, media planning and buying, TV and radio, public relations, Web design and development, email marketing, social media marketing and SEO.